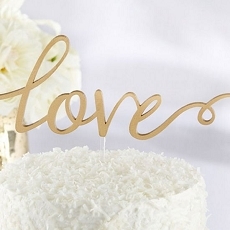 This fun "Mr and Mrs" cake pick makes the perfect finishing touch for the wedding cake. It measures 4.5" wide and 3.5" tall, not including the 2.5" long pick at the bottom for inserting into the cake. 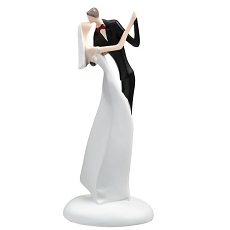 The "Mr and Mrs" is made of resin with a pearl finish and accented in the back by black metal scrolls.